This is the sort of thing that makes you shake your head sadly. 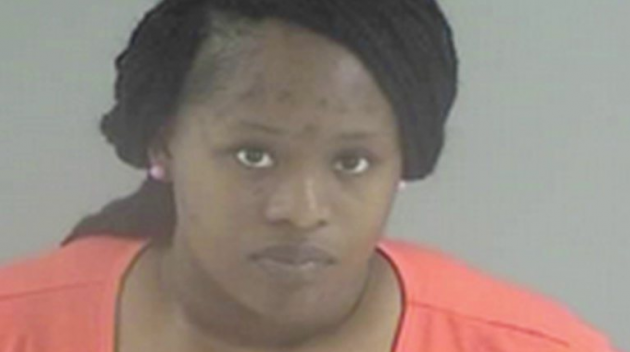 Bad mom of the week Laquanda Newby, 25, was accused of leaving her children in a hot car with the windows shut while she was grocery shopping, so she went to Henrico County Courthouse (Virginia) on June 8th to turn herself in. Once there, she rolled up her windows, tossed the keys on the floor of the car, and went inside. Oh, and left her kinds in the car again. Toddlers know how to use car keys, right? When you read that, you can’t help but be disappointed. Well, after over an hour (according to surveillance footage), police found the two children, aged 6 and 1, thanks to the help of an alert citizen. “Their shirts were wet, sweat rolling off their brows,” said Henrico Sheriff’s Capt. David Kinkle. “They seemed to be OK, but it was very hot.” Temperatures were in the 90s that day. Deputies took the children inside the court building and gave them water and snacks until their father arrived to pick them up. Laquanda Newby was booked in the Henrico jail, with her bond denied. There is no word on whether she received a room with a locked window.